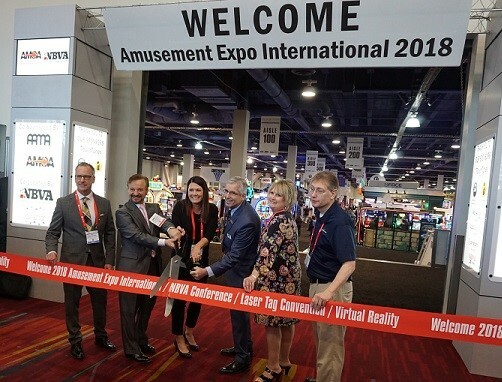 The 2019 Amusement Expo International will be back in Las Vegas, NV from March 26-28, 2019 in the North Hall of the Las Vegas Convention Center. The Expo, the annual event for the coin-op and revenue-generating amusement, music and family entertainment industry, is a three-day program featuring one day of education and two days of exhibits. Learn how to receive complimentary admission to the Amusement Expo Int'l for AMOA Members here.